Okanishi, M & Fujita, T (2018) “Description of a New Subfamily, Astrocloninae (Ophiuroidea: Euryalida: Gorgonocephalidae), Based on Molecular Phylogeny and Morphological Observations”. Zoological Science. 35(2): 179—187. Okanishi, M, et al. (2018) “A new cryptic species of Asteronyx Müller and Troschel, 1842 (Echinodermata: Ophiuroidea), based on molecular phylogeny and morphology, from off Pacific Coast of Japan”. Zoologischer Anzeiger. 274: 14—33. 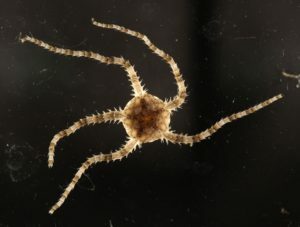 Okanishi M, Fujita, T. (2018) “A taxonomic review of the genus Astrodendrum (Echinodermata, Ophiuroidea, Euryalida, Gorgonocephalidae) with description of a new species from Japan”. Zootaxa. 4392(2): 289-310. (Echinodermata: Ophiuroidea: Euryalida)”. Zootaxa. 4392(1): 1-27. Okanishi M, Fujita, Y. (2018) “First finding of anchialine and submarine cave dwelling brittle stars from the Pacific Ocean, with descriptions of new species of Ophiolepis and Ophiozonella (Echinodermata: Ophiuroidea: Amphilepidida)”. Zootaxa. 4377: 1-20. 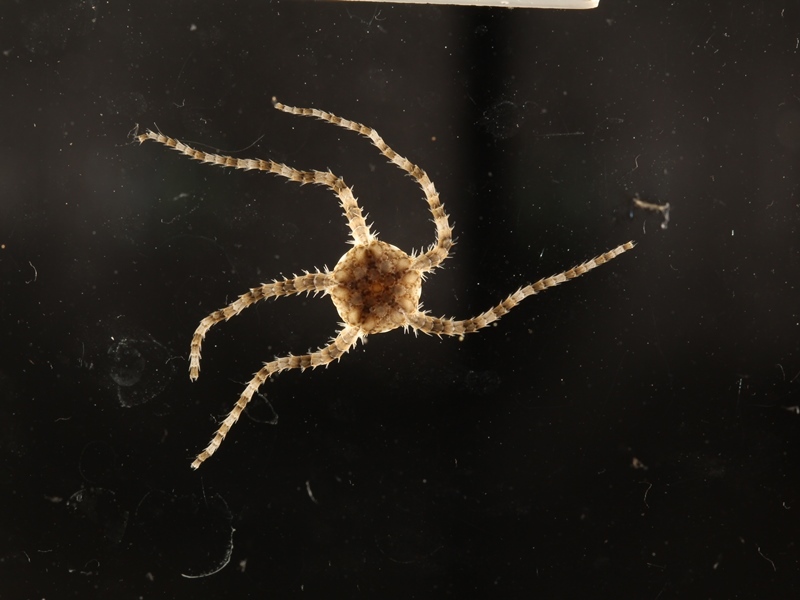 Okanishi M, Fujita T, Maekawa Y, and Sasaki, T. (2017) “Non-destructive morphological observations of the fleshy brittle star, Asteronyx loveni using micro-computed tomography (Echinodermata, Ophiuroidea, Euryalida)”. Zookeys. 663: 1-19. 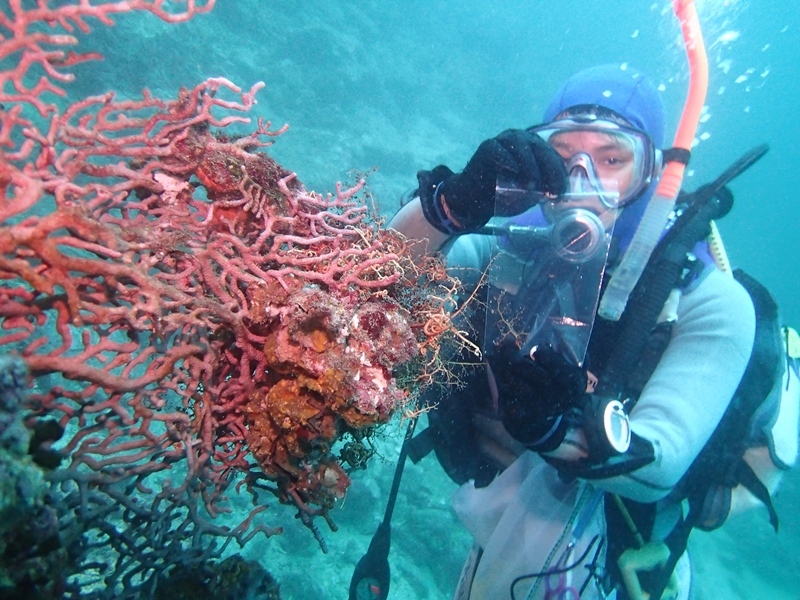 Publications of the Seto Marine Biological Laboratory. 44: 7-52. In: Masaharu Motokawa and Hiroshi Kajihara (eds.) Species Diversity of Animals in Japan. Springer Japan, Tokyo, Japan, pp. 657—678. Bulletin of the National Museum of Nature and Science Series A (Zoology). 40 (3): 133-139.